Replace all natural diamond ore with ?? Please leave map feedback and share your LP videos here! Well I'll be watching this space excitedly! Is it maybe a bit like my map? Can you give us a hint, is it a medieval, future or stone age or what age map? The name will be revealed in about 24 hours. That will reveal almost everything. I was wondering when you would release your first CTM map. If you need a beta tester or some general feedback, just let me know. New beta version is being updated with better gear and trap progression, huge thanks to Cold Fusion Gaming! My favorite show! I can't wait. No problem! Can't wait for the finished product! I hope people will find it challenging. I'm not as seasoned at CTM as Vechs, but I did add a few traps here and there. And lots of spawners. 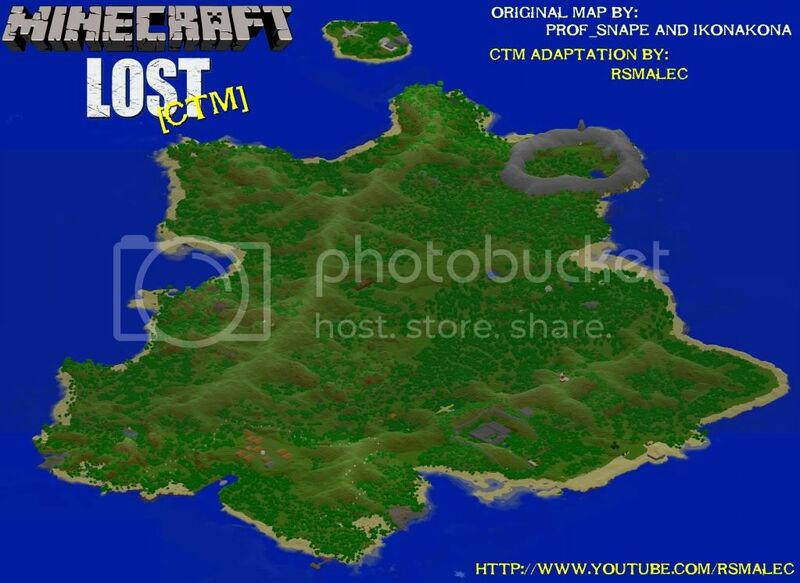 The 'story' of LOST CTM occurs after the events of the island. I'll update the main post with that bit of lore. Thanks for reminding me! Big thanks to Crontab http://www.youtube.com/crontab9 for his beta test feedback! Looks really good been following since u posted this thread. Do u have any new updates regarding release date is it still set to the 14 of july or are u going to postpone it a bit? On track for release tomorrow! Just working on a video trailer. whens it out. i cant wait. Minecraftia Airways flight 815 has just been reported missing. The plane was en route from Sydney, Australia to Los Angeles, California USA. 324 passengers were on board. Are you one of them? Download the map now at http://www.mediafire.com/download.php?2sjghghwr2dxu36 ! Behind the Scenes at some of the adaptations for Lost CTM. The full trailer is now available! I would suggest adding screen shots to the post. Thanks. Did you watch the trailer...?